Andrew Lloyd Webber & Tim Rice's timeless score tells of the final week of Jesus' life through the eyes of Judas Iscariot. Running time: Approximately 2 hours, including intermission. Kid Friendly: Recommended for ages 11 & up - Please note that children under age 4 will not be admitted. Loosely based on the Gospels of Matthew, Mark, Luke and John, Superstar follows the last week of Jesus Christ's life. The story, told entirely through song, explores the personal relationships and struggles between Jesus, Judas, Mary Magdalene, his disciples, his followers and the Roman Empire. 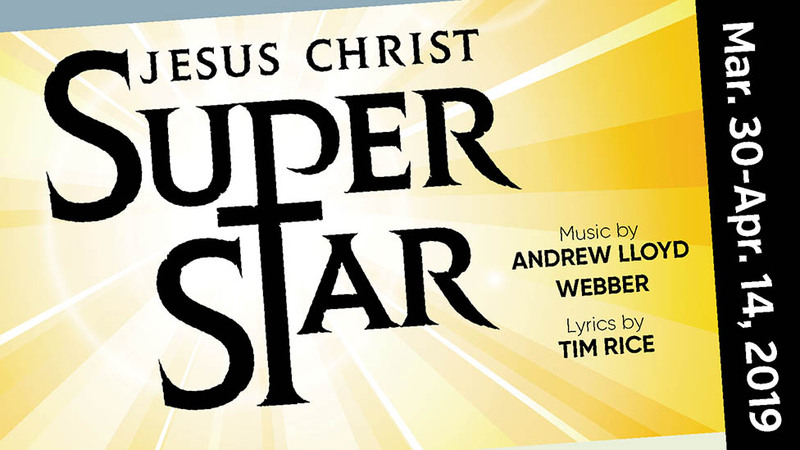 The first musical by Andrew Lloyd Webber and Tim Rice to be produced for the professional stage, Jesus Christ Superstar has wowed audiences for more than 40 years. A timeless work, the rock opera is set against the backdrop of an extraordinary and universally-known series of events but seen, unusually, through the eyes of Judas Iscariot. The iconic 1970s rock score contains such well-known numbers as "Superstar," "I Don't Know How to Love Him" and "Gethsemane" that have made it a true global phenomenon. Logo: TM (copyright) 1991 The Really Useful Group Ltd.